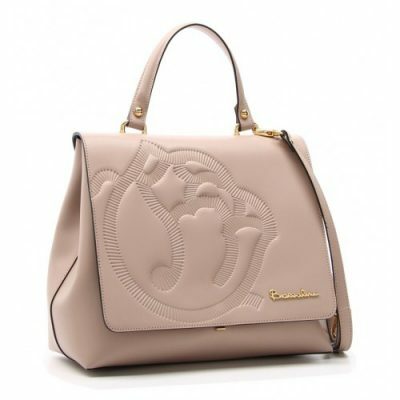 A Braccialini handbag is a gift that will be treasured for years to come because of its renowned crafsmanship, gorgeous detailing, and soft Italian leather. With rich colors and artful touches, Braccialini and Braccialini TUA elevate handbags to a new level from their studios in Florence, Italy. The brand’s founder, Carla Braccialini, has garnered multiple awards for her design innovation and inspiration, including the coveted Order of Merit by the President of Italy. So, a Braccialini bag is quite a special gift. Using the finest leather, Braccialini designs convey joy and fantasy through the use of artful detail, unique leather patterning, inspired embossing techniques, and inventive use of contrasting materials. Offering more than 60 years of tradition, the family-owned Braccialini brand can be found in luxury department stores on every continent. The brand is a fashion fave in Europe, especially Italy (certamente) and is the subject of the Skira/Rizzoli art book “Braccialini, Le borse delle meraviglie” (Bags in Wonderland) by museum curator and writer Fabiana Giacometti. The TUA Braccialini division is lauded for its colorful, whimsical creative and patterned styles. Follow Braccialini – Facebook: @braccialininorthamerica, Instagram: @braccialininorthamerica, Twitter: @braccialiniNA. See more styles and shop at Styvalo.com. 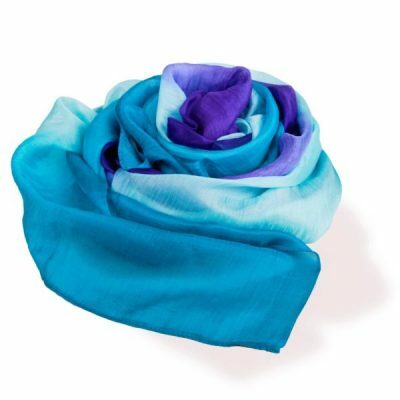 For the scarf-lovers in your life, you can pull double duty by gifting this gorgeous, handcrafted silk scarf from Vietnam while donating to charity at the same time, through the World Vision Gift Catalog. Transform lives as you shop for artisan creations around the globe. In 2016, World Vision assisted more than 41 million children and their families in the areas of disaster relief, food grants, clean water access and other forms of vital need. Find more than 250 holiday gifts that encompass jewelry, accessories, bowls, baskets, wind chimes and home decor items. Shop WorldVision.org. Render 2018 a little better for everyone across the globe.